It is always wonderful to see travelers who choose to make Packing for a Purpose part of all of their journeys. We wish to extend our heartfelt gratitude to Alex Martin and her family for being such travelers. Below is a compilation of their three experiences Packing for a Purpose in the Caribbean and the United States. Prior to traveling to Grand Cayman in November 2015 with our family, we looked into ways that we could help the local community. 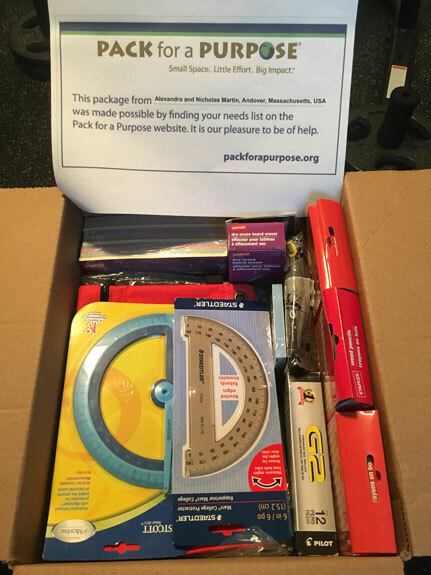 We found Pack for a Purpose and started collecting school supplies for the students. We had always collected school supplies for middle school students in need in our hometown. As teenagers, this seems like a good way to help. In the end, we had a huge box collected. As we started planning college visits for this summer, we thought of how we could help out along the way. We remembered donating with Pack for a Purpose before and looked into locations in the United States that would be near our college stops. We found the accommodation in Washington, The Ritz-Carlton Georgetown, and started collecting supplies for their project. These students requested back-to-school supplies and Purell. 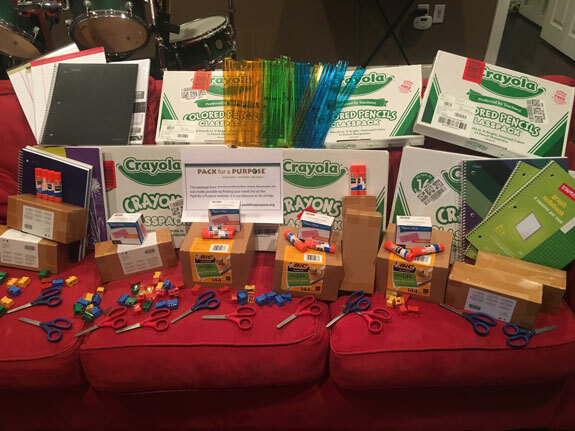 We collected supplies and assembled 24 pencil cases, complete with pens, pencils, rulers, erasers, glue, markers, crayons, pencil sharpeners, and paper. Along with the couple dozen Purell containers, the donation weighed 31.8 pounds! Good thing this was a road trip and we could carry it all along!! Our family is lucky to visit Maine during the summer time. While we are there, we like to help out at a local community center and serve meals to those who need it. This year, my brother and I were looking for a more academic-based way to help out. We remembered Pack for a Purpose and looked into their Maine locations. We were connected with an amazing woman, Maria Lamb, who runs Wicked Awesome Maine. She was already working with Pack for a Purpose and told us what was needed. We planned to pack what we collected in our suitcases when we headed north to Maine in July. 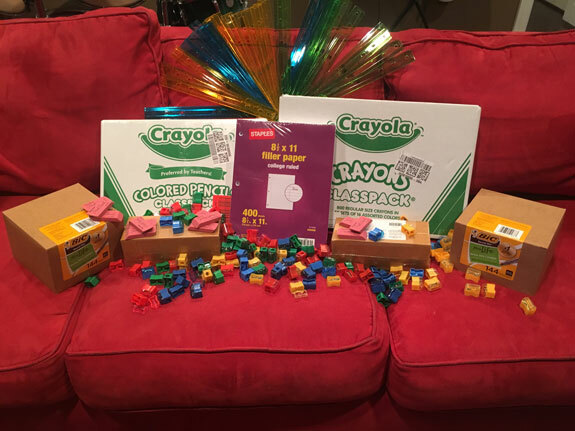 We collected books, school supplies, crayons and colored pencils, board games, flash cards, and spare change. In the end, it was so large and weighed so much that Maria actually came to pick it up! We were so proud of the amount of supplies collected and happy for the young children they were going to! Categories: From Travelers Tags: Caribbean, Charitable Giving, children, Donating Canned Food, Donating Food, donating supplies, education, Educational Needs, educational supplies, Feeding the Hungry, Food Pantry, giving back, Impactful Travel, literacy, Maine, meaningful travel, Nutrition, philanthropic giving, Philanthropy, school, school supplies, Traveler’s Success Stories, United States of America, Washington D.C.